AllRefer.com > Pictures & Images > Looking SW from ground at scaffolding surrounding the top of the Capitol Building with the Statue of Freedom removed. 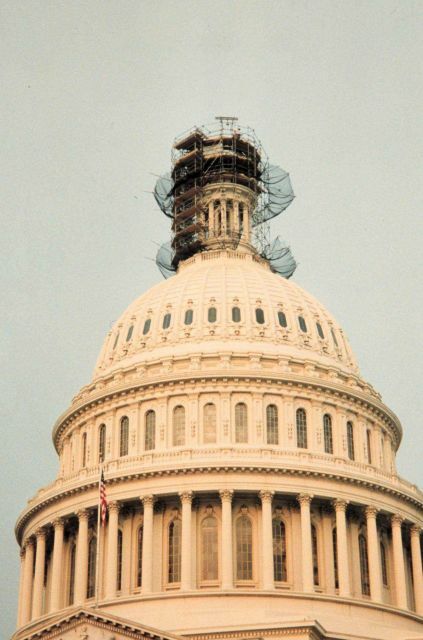 Looking SW from ground at scaffolding surrounding the top of the Capitol Building with the Statue of Freedom removed. Photo Location: Washington, D. C.